One of the happiest moments of our lives is when we get a new car. This thing can take us everywhere and anywhere we want to go, but there are some things people don’t tell you about driving, car safety, and maintaining vehicles. You can on the heat for a few minutes. Next, turn on the air conditioning. 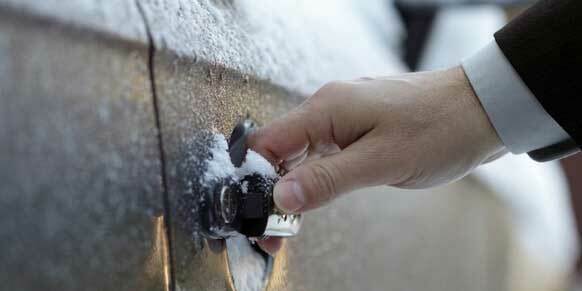 After a minute or so, switch back to the heat, and then crack your windows slightly. 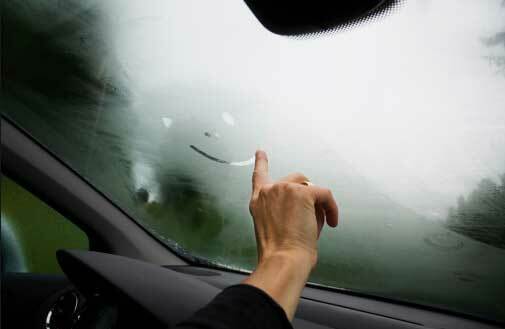 Your windows will not be fogged up anymore. Why? Well, in addition to keeping your hands germ-free, hand sanitizer will melt the ice from frozen door locks when applied to the handles. It’s weird, but it works! 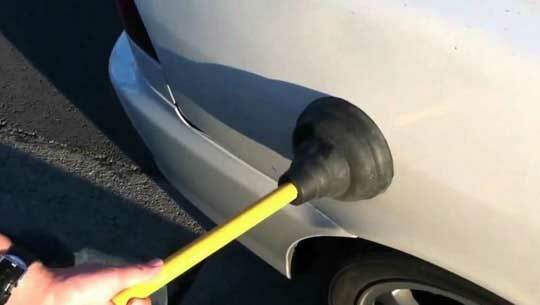 If your car has a dent but a trip to the body shop isn’t in the budget, you can use a plunger to suction the metal back into place. There are even speciality car plungers made especially for the job. 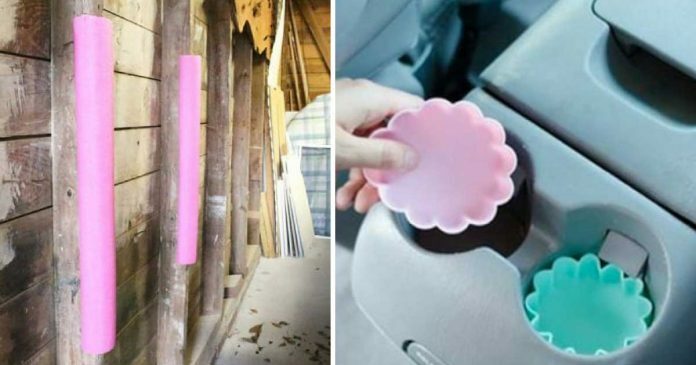 It’s no secret that cup holders can become filthy in no time. 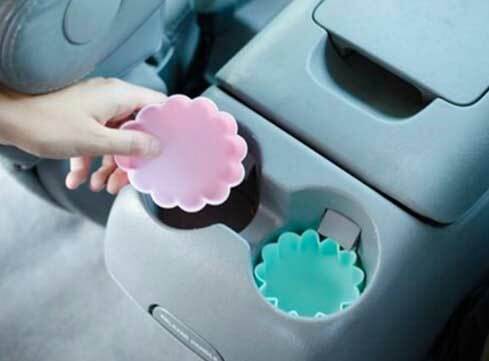 Line your cup holders with silicone cupcake liners to keep stains contained and to a minimum. 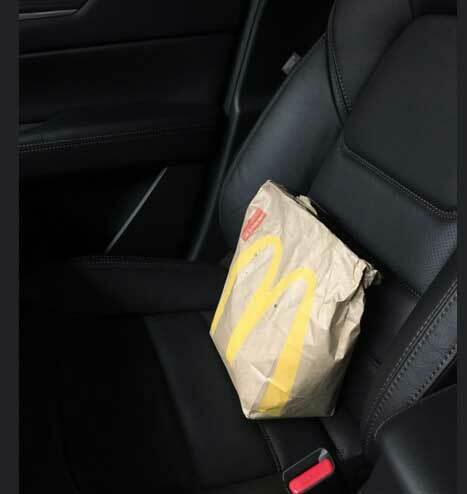 If you order takeout and have the luxury of owning a car with heated seats, use them to keep your food warm until you get it home! 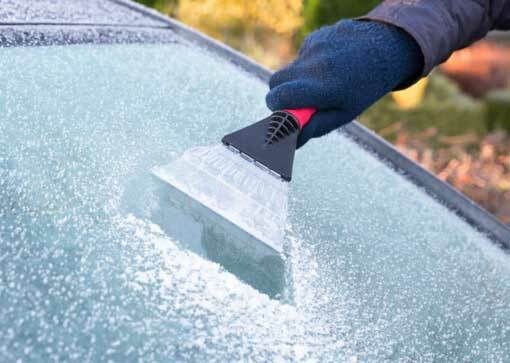 If you’re sick of freezing your fingers off trying to scrape snow and ice from your windshield, place a plastic tablecloth or tarp on your windshield overnight and during any times you’re not using your car. 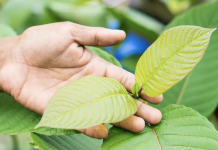 It can feel next to impossible to remove stuck-on bugs from your windshield and front of your car. The trick? Dryer sheets! 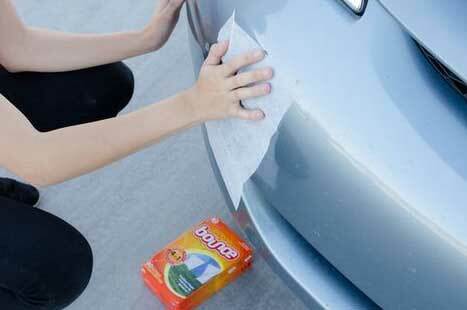 Rinse your car, dunk a dryer sheet in a pail of warm water, and use the dryer sheet to wipe the bugs away. 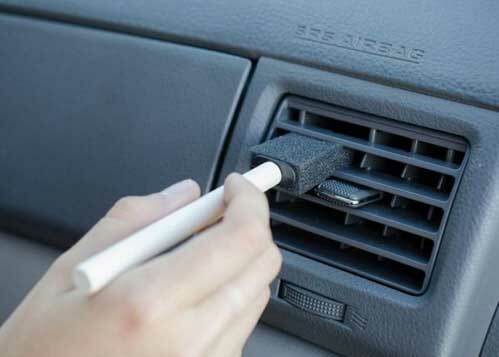 Air vents seem to be the hardest places in our vehicles to clean. Rags just don’t fit in those tiny slots, and they end up collecting a ton of dust. Use a medium-sized paintbrush (or foam paintbrush) or Q-tips to get the dust out of those hard-to-reach places. You already know that Coca Cola isn’t the healthiest drink in the world. 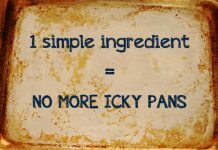 But because of its acidic properties, it makes for a great rust remover! 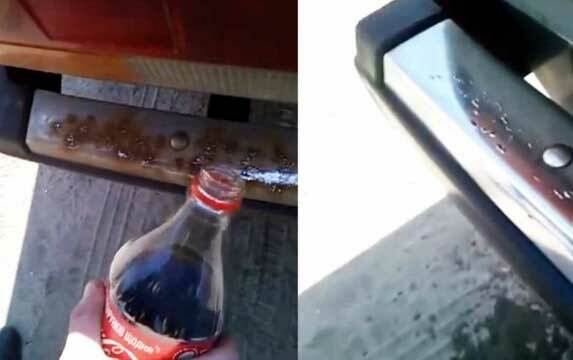 Bet you’ll reconsider the next time you go to grab a can of Coke. I know what you’re thinking. Pool noodles? 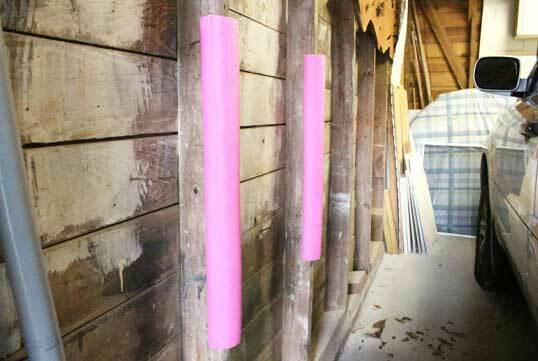 If you’re in the habit of accidentally dinging your car every time you pull into your garage, line the walls with pool noodles to avoid any nasty dents and scratches. 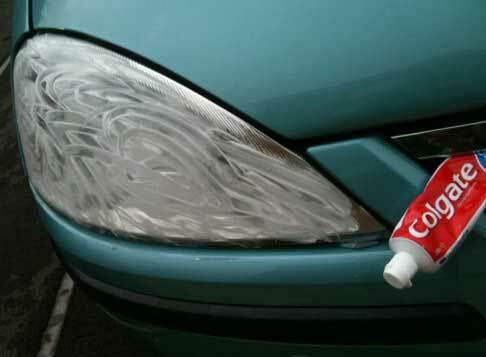 If you’re looking to deep-clean your headlights, create a paste using toothpaste and baking soda and apply the mixture to the headlights. After some gentle scrubbing and a rinse, they should look shiny and new again. Every vehicle should have an emergency kit stored in the trunk or backseat. You never know when you’ll be stranded in your car awaiting help. 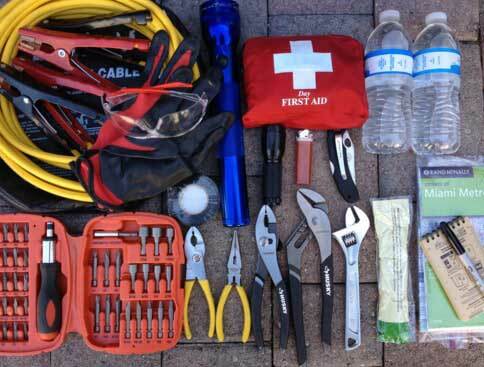 An emergency kit should include a flashlight, blanket, protein bars, bottled water, a first aid kit, booster cables, and a few other necessities. 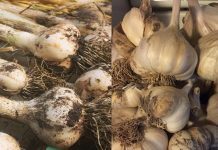 December borns are special, and here is why! 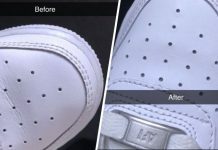 4 ways to remove scratches from your glasses! GrandmaThing is your health and wellness advisory destination. 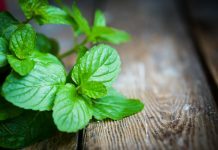 This website provides great health and wellness tips to live your life to the fullest.